In speaking to art and design education, one tends to reference curriculum, the students taught, the educational contexts, and teachers’ pedagogy; but what about our own unique experiences of, and affective, experiential and aesthetic responses to teaching and learning? Our process as artists inextricably intertwines art making and multileveled learning. We are responsive to and responsible for our own personal and project development and their realization. As art and design educators we reflect on our teaching moments and in doing so inform our art practice; this is a reciprocal and complex relationship. Two concurrent exhibitions at OCAD University and at OISE, University of Toronto strategically and evocatively map artist-teachers learning as process, as evocation and as provocation. Artists Teaching //Learning Zone, OCAD University, 225 St. Patrick Street: Opening/Events Oct 30th 12-2.30pm. Runs Oct 30-Nov 29. Students and graduates of OCADU’s Art and Design Education Lab (ADEL) present visual and new media work that reveals and explores the anxieties, pleasures and challenges they have encountered as emerging educators in their art and design learning and teaching. Curatorial Advisors: Marta Chudolinska, Pam Patterson, Daniel Payne, Leena Raudvee. Artists: Hudson Christie, Megan D’Angelo, Nazli Nahidi, Hareem Qureshy, Peter Rahul, Julia Sardinha, Angelina Stoilkova, Cassidy Tam. Teaching Artists// CWSE Hallway Gallery, OISE, 252 Bloor St. West, 2nd floor, University of Toronto: Opening Oct 28th 5.30-7pm. Runs Oct 28-Nov 29. Informal Artist(s) Talk: 6pm, Oct 28th. 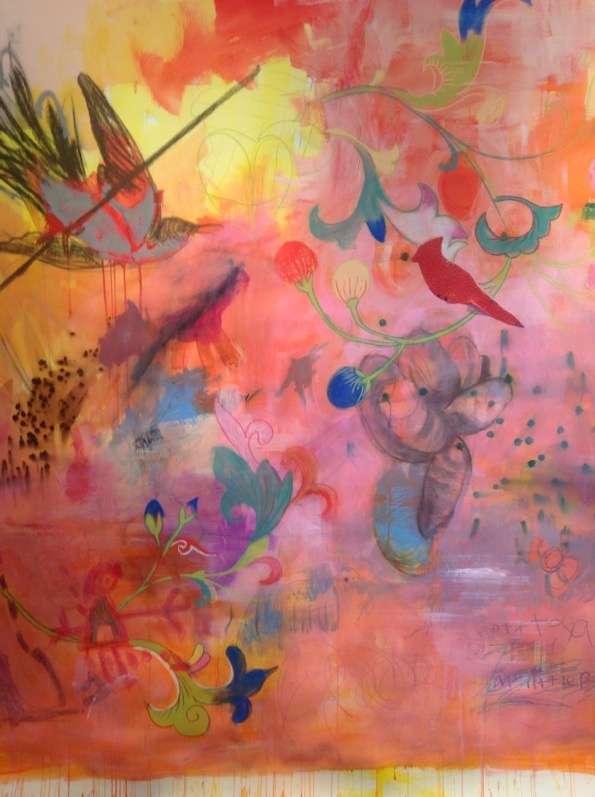 OCADU faculty and visual artists JJ Lee, Amy Swartz and Natalie Waldburger present work in paint and scripto-visual drawing that addresses both the playfulness and complex nature of the art and learning relationship. Lee’s life-sized works on paper, painted collaboratively with her young daughter Mei, speak to the nature of risk, trust, care, creativity and mutuality found in this unique art making and learning relationship. Swartz’s and Waldburger’s intertwined texts draw and map a process of joint discussion, negotiation and mutual reflection. WIAprojects/CWSE/OISE Curatorial Collective: Pam Patterson, Peter Rahul, Leena Raudvee, Jay Smith. 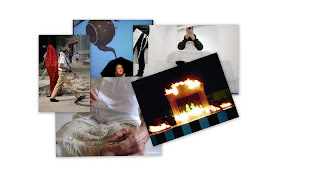 WIAprojects sets out to examine, through a research and performance initiative, the nature of language, communication, and collective intervention within a feminist framing. 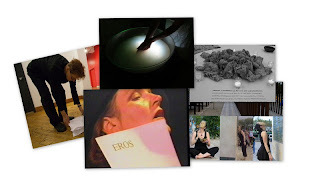 Co-directors of WIAprojects and performance artist collaborators and co-conspirators in ARTIFACTS, Leena Raudvee and Pam Patterson, are interested in creating a dialogic cacophony in concert with artists Berenicci Hershorn, Margaret Dragu, Christine Brault and Helene Vosters. These artists were invited and chosen, in consultation with WIAprojects’ advisers, by Babble (Babel) curators to represent a wide range of practices, places, and peoples, coming from British Columbia in the west and Quebec in the east and places between. All are well established as senior performance artists and feminists with a strong grounding in innovation, activism, research-based practice, and collective and/or community work. Each will be developing and presenting new work for Babble (Babel). Our interest is in individually and collectively re-enacting and re-inserting our historically cultured experiences into the traditional academic halls of Hart House. How can we re-enact our ancestors’ negotiation with the English and their language, the nature of privilege and patronage as established in Canada, our rootlessness as children of immigrants, and our frustrations as women artists? How can we open a dialogue across Canada through the use of performance? The premise of Babble (Babel) references the Genesis story of the Tower of Babel used to explain the origins of multiple languages and cultures. Challenging cultural homogeneity and arrogance, God is purported to have said: “They are one people and have one language, and nothing will be withheld from them which they purpose to do…. Come, let us go down and confound their speech." The name "Babel", derived from the Hebrew word balal, meaning to jumble, speaks to our intention to “jumble” or confound the traditional uni-cultural foundation of Hart House though performance. “Babble”, an often derogatory term used for women’s talk, then becomes reframed as an innovative discourse. All artists bring very specific practices to bear on Babble (Babel) as they explore the use of various strategies to best meet and honour their distinct processes and aesthetic choices in Hart House. This speaks to the way each addresses her unique experiences of marginalization. The conversation-as-performance is enacted across the margins and acts, from within the institution, as a recalcitrant virus. Each artist has selected a Hart House space and particular focus, and will facilitate conversations, actions and performances. Each performative activity will culminate in a public performance action. The events are presented at two different times: Nov. 9 &11 and Feb. 8 & 10. The November week will feature individual performances and all participants will publicly give (and invite) feedback. It will set the tone for the deconstruction of language and its import as a re-forming discourse. The February week will show more durational work and will invite more informal conversation, collaboration and collective action. Locations: Multiple sites including landing between 1st & second floor, Bickersteth Room, Chapel. Location: Music room with a grand piano. What do we learn when doors to knowledge open? What do we know when we conquer the code? What stories are locked in a language not spoken? What are the narratives that live in our genes? Lie the real clues to who we are and where it is we’re from. Locations: South sitting room, North dining room, meeting room – smaller spaces. Constructed not only of armies of men (and increasingly women), of weapons and their delivery systems, militaries are also made up of the mundane objects needed to nurture and sustain everyday life—clothing, food, shelter. Part mourning ritual and part meditation on the warp and weft of militarism’s fabric Thread-by-Thread is an embodied inquiry into loss and fragmentation that results from the violence of war, and into the relationship between mundane gestures of caring and the potential for empathetic connection. Through the thread-by-thread dismantling of a military uniform participants and witnesses are invited into an intimate engagement, not only with those who bear the weight of the uniform—the iconic, and iconically grievable soldier—but also, with the hundreds, thousands, millions of nameless individuals who have been rent from the fabric of family, friends and community, from the weave of life, through the violence of militarism and war. Nov 9th Meeting Room 1-3pm, Nov 11 South Sitting Room 1-3 pm with a special dawn collaborative performance Embroidery for the Forgotten Dead of History: Shot at Dawn, 7.15am Nov 11th. in front of Veterans' Memorial in Queen's Park. * Monday Nov 11th we will meet for a public discussion in the Board Room Hart House from 3-4pm with guest presenter Diane Borsato. Verb Woman explores body, language, injury, connectedness and disconnectedness through a durational performance that draws on Margaret Dragu’s 40 + years as both a professional artist and personal fitness trainer/movement instructor. Verb Woman uses anatomy texts, English-to-other-language dictionaries, idiomatic dictionaries and other reference books to physically explore common injury sites and their rehab protocols. Location: One of music room, lower gallery, garden, library room, or chapel. ARTIFACTS will work as collaborative provocateurs with Dragu and Brault by participating in both artists durational performances-in-process and by developing, either with them or alone, a new culminating performance in response at the weeks-end. They situated themselves before, in a 2012 project Food=Need, performing a highly successful responsive-to-project culminating work, Storm Day, Night Jazz. * Sunday Feb 9th we will meet for a public discussion in the Reading Room Hart House from 2-4pm. Food is a basic human need. It shapes desires and obsessions and yields many kinds of enjoyment and pain. One can explore food from diverse perspectives seeing it both as an object produced and consumed and also as the means and symbol of our human relations. The diversity of what we eat (and don’t eat) and of how food is produced and shared shapes cultures, communities, and nations. Refracted through language, culture, and media, food is a central lens for exploring the patterns of our interaction. Hunger, as an index of poverty and of environmental disaster, provides a reversed lens with which we can explore justice and ethics. How we get what we eat, from near and far, is basic to ways of inhabiting places on the earth and relating to each other. Food=Need OCAD U is an event that explores these issues and their effect on the lives and work of artists and designers. The evening begins in Central Hall, Room 230 of 100 McCaul, with a welcome by OCAD U Art and Social Change Faculty Andrea Fatona. 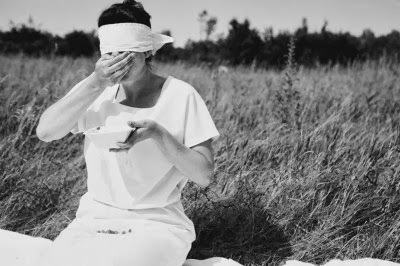 WIA projects’ feminist artist-researchers Pam Patterson & Leena Raudvee will introduce the young Toronto filmmakers Naked Eye, Diana Piruzevska and Anlina Rana, who will speak to and screen the film Food=Need. This short documentary film based on the Food=Need community performance art event curated by WIA projects in the Fall of 2013. The screening will be followed by a panel (composed of OCAD U student and OCADSU Free Lunch coordinator Che-Chi Liu, OCAD U student and Food Not Bomb Toronto member Shirley Ceravolo, and Greenest City Artist, community facilitator and museum educator Cath Campbell) which will lead a OCAD community discussion on the politics of food insecurity and the value of creating sustainable food-linked projects. Free popcorn! The evening's events will continue in the OCAD U Library's Learning Zone, Level 1 of 113 McCaul, with a closing reception for the Food=Need Exhibition where we will celebrate the event with food and further discourse. The Food=Need Exhibit is a multimedia installation featuring poster designs and booklets from the students in Audrey Hudson's Think Tank courses. The creative responses from the Think Tank courses address food availability; food access and food use around the subjects of: food co-ops, gardening, nutrition, schools & food, labeling food, art/design food activism, narratives of food, and community development projects. The Video work from Pam Patterson's Life Studies course address sustainability and food insecurity in and through diverse populations and people. Mary "Mack" Tremonte, OCAD U IAMD graduate student and Just Seeds Collective member, will lead participants in a silkscreen workshop so that they may come away from the event with printed tote bags that will facilitate further awareness and discourse in the future. FREE. Suggested donation: Non-perishable food items for the Starving Artist Pantry, the OCAD Student Union's Food Bank. Pam Patterson, Leena Raudvee, Mary Wright, Trisha Lamie (UTSC), Sylvat Aziz (Queen's University), Shannon Cochrane (FADO), Frieda Forman & Paula Bourne (CWSE), Joanna Black (U. of Manitoba), and Carpos Collective: Julia Louise Pereira , Joyce Jodie Kim & Shirley Shoning (Carpos Collective), Phil Anderson, Director, Gallery 1313. Mentors: Leena Raudvee, Pam Patterson, Mary Wright (WIAprojects & CWSE), Joanna Black (University of Manitoba), Ilene Sova (FAC), Amy Swartz (OCADU). Candace Wilkins (Community-based Researcher-in-Residence) candacewilkins@wiaprojects.com. WIAprojects is a multi-faceted feminist arts-informed community-based research and practice program. Members design and edit publications, curate exhibitions and performances, sponsor and present educational seminars, workshops, and classes. Working collective members each year take an active role in facilitating programming and events. Check out our site for our various projects . Dr. Nora Gold, academic researcher, filmmaker and writer. Leena Raudvee, artist and Associate Director WIAprojects.